“Wine makes every meal an occasion, every table more elegant, every day more civilized.” Andre Simon, French-born wine merchant, connoisseur and writer An acquired taste for many, wine has throughout history graced the tables of gods and sophisticates. An enjoyment then of wine, and its varieties and possibilities, was the perfect way to celebrate the collaboration between two of the more graceful and gracious of residential towers to soar into the skies above the Bonifacio Global City. Aptly knighted “Sip. Savor. Mingle. A Wine Tasting Soiree,” Brittany brought the fine art and practice of wine appreciation back to the boardrooms and dining rooms of Makati with an evening rife with elegance and savoir-faire, echoing the refined urbanity of its luxurious condominiums at The Fort – The Hudson and Avant. Attended by Brittany’s officials, guests from the press, and a select group of special friends, the soiree was held at Avant in the Crescent Parkwest of the Bonifacio Global City. The guest speaker for the evening was Carla Santos, a certified Wine and Spirit Education Trust (WSET) educator and one of the country’s top sommeliers and oenophiles. The occasion started at six in the evening, and into the night guests were plied with the wit and wonder of the wine world, as Ms. Santos fascinated the party with wine basics, benefits, classifications, and of course, glasses of that famed potation and its tastiest of pairings. The event was an exceptional beginning for Brittany, as it opens a series of future events and adventures for society’s elite to highlight the company’s offerings of luxury, refinement and unparalleled quality in the usually humdrum world of the many uninspired condominiums that have been growing at a feverish pace all over the country. “Sip. Savor. 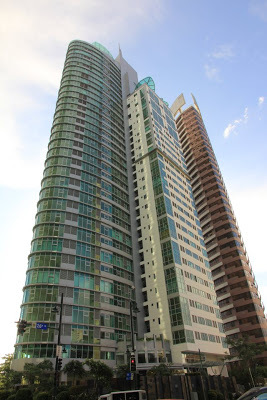 Mingle…” was put together to showcase the company’s two towers in what is probably the finest and most coveted sprawl of real estate in the country, the Bonifacio Global City – home to the affluent and booming business center. Named for, and inspired by, the graceful Hudson River that elegantly flows between New York City and New Jersey, The Hudson will soon tower 28 storeys high over the corner of 20th and 21st Drive East Forbes of the Bonifacio Global City – the area dubbed “Millionaire’s Row” and the most exclusive enclave of The Fort. A spectacle of glass, steel and stone, The Hudson will rise over the dynamic metro with only 141 lavishly spacious 1- to 3-bedroom residences, including four Elite Garden Suites and two Penthouse Suites – giving the city’s jet set incomparable space and privacy. A virtual vertical “city,” The Hudson is designed to be practically self-contained. Its first and second floors will put a modern spin to the old- and other-worldliness of the Manhattan’s Soho and Greenwich Village with well-appointed dining, retail and service establishments in the midst of an al fresco backdrop. The seventh and eighth floors will become one of the city’s most coveted corporate addresses, and the remaining floors will be home to the country’s elite. Catering to absolute indulgence, the tower’s sixth storey will be a recreation and leisure space with a 25-meter lap pool, gym, interactive game room, and lavishly appointed function halls. 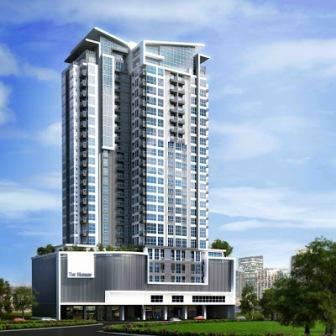 The graceful tower is designed to make practical use of our tropical climate. A façade of wide-tempered glass panels will repel gale-force winds and rain, while allowing the streaming of gentle sunlight to brighten the marvelous interiors. The building will use eco-walls for ventilation, while light-colored exteriors will naturally deflect heat. The grounds and several floors are given over to wide open spaces and green areas composed largely of landscaped podium desks. Knowing full well that The Hudson still belongs to a living and breathing community, special care will be taken to preserve its green spaces and promote healthy living. Also ruling over the Makati skyline at the Global City, Avant stands colossal at the heart of the last remaining prime spot in the golden triangle at Crescent Park West. At 38 storeys, it is a beacon for green architecture and sustainability – the first of its kind in the country. Designed by Asya Design Partners, the purely residential tower offers a range of sumptuously appointed studios to three-bedroom residences, as well as lofts – including two enviably-placed lofts on the ground floor. The stylishly dignified Avant comes with an array of world-class amenities responsive to the needs of the modern urbanite. To mention a few, there is a swimming pool, fitness center, Club Floor and for exquisite decompressing a sauna and steam room. Avant’s “Green Architecture” begins with its choice location. Precisely oriented, the tower uses the surrounding shade to protect the residences from both the morning and afternoon sun. At the ground level, an espalier incorporates growing plant life with the fencing, providing a rich green frame for the view outside. Gardens, the shaded swimming pool, the private massage coves, and the wide lanai create a haven for communing with the outdoors and relaxing both mind and body. This “green-ness” continues with the elements of the structure. The glass windows are heat-reflective and the halls and units are designed to create constant cross-ventilation. Immense picture windows allow for the great pleasure of enjoying unhindered views of the outdoors, while letting in a gentle light and warmth. All these result in a sanctuary that comforts while it protects and allows for the conservation of energy. Possibly – due to Avant’s stunningly exquisite architecture, excellent location and keen grasp of the lifestyle and predilections of the country’s very privileged few – there are currently very few prime units left available. The breathtaking tower is fast-becoming the preferred address of our nation’s elite… and quite rightly so. Brittany is one of the subsidiaries of Vista Land, the country’s largest and most preferred homebuilder. Vista Land has 37 years of experience and has built more than 250,000 homes through 87 projects with a very strong presence in Mega Manila and 28 other key provincial destinations and 56 cities and municipalities. If you’d like more information, please call the The Hudson and Avant’s landline at (63 2) 720 9560, or the mobile phone: (63) 917 952 7767. You may also visit the website for The Hudson at www.thehudson.com.ph.